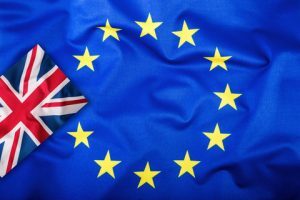 As the finalisations to the Brexit plan get well underway, here at Stourbridge Automotive Ltd we would like to highlight some of the changing rules in terms of driving in the EU and your driving license which are about to come into force. Whilst these legal amendments are still being finalised on both sides of the party, it will mean that whether you are planning a holiday destination which involves driving in the EU or if you operate a company that uses fleet vehicles / courier and haulage services to drive throughout the EU, that these rules will apply to UK citizens who drive in Europe after the UK leaves the EU on the 29th March 2019. For many years we have enjoyed the freedom of driving under a single EU driving license which allows us to freely drive around the UK and across into Europe. As of midnight on the 29th March 2019 this will change and your current driving license will be no longer valid in Europe, plus your will be required by law to carry an extra document called a Green Card Certificate. What type of Driving License will I need to drive in Europe? You may need to obtain an International Driving Permit (IDP). IDP’s can be obtained from the Post Office for £5.50. You will need to carry both your UK Driving License and an IDP when driving abroad. What is a Green Card Certificate? A Green Card Certificate demonstrates that you possess valid and suitable insurance to drive in Europe. You must carry a paper copy of the certificate as digital copies are not yet accepted. You will be able to obtain a Green Card Certificate through you insurer. Whilst the process of issuing Green Cards is still being developed, it is important to highlight that you should notify your insurer that you are planning on driving abroad, at least 1 month before you take your journey. You will need to carry a Green Card Certificate as well as a UK driving license. What else do I need when driving abroad? Stourbridge Automotive Ltd, offer vehicle servicing, maintenance and repair assistance to Audi, BMW, BMW Mini and Mercedes vehicles. Covering many aspects of vehicle examination from annual MOT Testing to specialist work in ECU Remapping, AC Schnitzer engine tuning and vehicle bodywork upgrades, our certified technicians are on hand to help. To find out more, please see our website contact page.